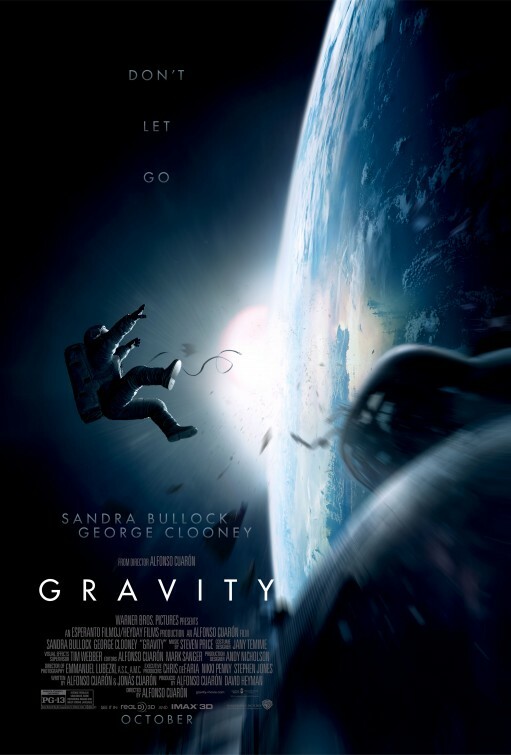 So I feel Gravity is flat-out amazing, and one of the best movies in many many years. It turns out a whole lot of people agree with me, with the word “masterpiece” thrown out from critics of all sorts. The film seems set for a buzz-filled opening that is going to blow audience’s minds this weekend, especially the ones that wisely choose 3D, IMAX, and Dolby Atmos-equipped screenings (whatever combination you can manage, I highly suggest it). 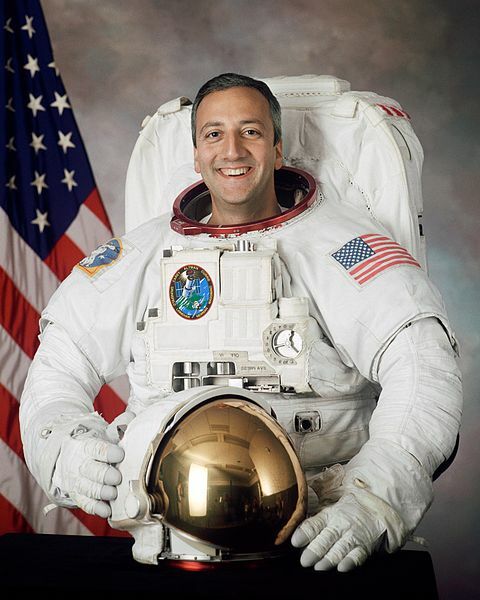 In any event, I have once again been presented with the amazing opportunity to speak to an esteemed member of the science community about a new scifi film, in this case star astronaut Mike Massimino. Having assisted in fixing the Hubble twice, Mr. Massimino knows exactly what it’s like to be up there, as Sandra Bullock and George Clooney are at the start of Alfonso Cuaron’s film. Fortunately he never experienced a disaster like the one depicted in the film, but he did have some interesting things to tell me about the subtle details the filmmakers nailed about space-travel, along with some stories of his own time in space. Finally, we talk a little bit about pop scifi’s role in inspiring minds to pursue interest in science and space-based careers. I hope you enjoy reading this interview as much as I enjoyed taking part in it. And see Gravity this weekend! Renn Brown: You’re one of the few space-explorers that can lay claim to having fixed something in space by “yanking it,” you’ve been part of record-breaking space walks, you were the first to compose a tweet from space, you’ve appeared on The Big Bang Theory… you’re no stranger to doing cool things, so tell me about the specific experience of traveling around and talking about Gravity. Mike Massinimo: It’s been fun. I mean I kind of enjoy doing these things, so it’s a great way to tell a little bit about what we’re doing in space, and I enjoy telling the story. What I’m doing for NASA now is I’m on loan at Columbia University at Columbia Engineering School, and one of things I enjoy about doing that is I get a chance to work with students and promote the Space Program. And so, the chance to do this with the movie Gravity has been another opportunity to kind of tell people about what we’re doing in space. 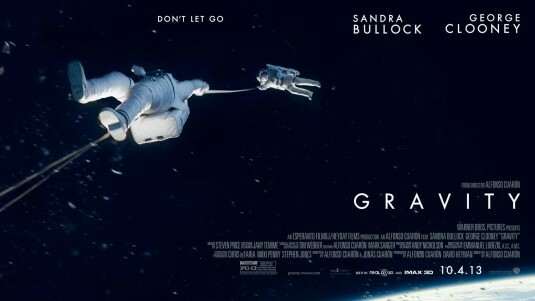 Of course this is a movie and this is a bad day in space, what happens in Gravity, but still it’s an opportunity to interact with people and talk about the Space Program. And it’s just fun. I enjoyed doing it. You get to meet some really interesting, creative, fun people in the process when you do these sorts of things like yourself, you know, and have interesting conversations, so it’s a pretty cool experience. And Gravity has been cool too because, you know, it’s generated a lot of interviews like this – opportunities to talk to people about the movie and about the Space Programs, so it’s been good. Renn Brown: –the film is largely grounded in the realities of space travel. Can you talk a little bit about that? Mike Massinimo: Yeah, I mean, for me, I was on the STS-125 – the most recent Hubble servicing mission on the space shuttle. We flew space shuttle Atlantis. And they recreated, at the beginning of the movie, when they’re at Hubble. Have you seen the movie already, Renn? Mike Massinimo: Okay. So, what you see in the beginning is exactly what we saw in space. The replicated the Hubble exactly. I think they studied… it’s an IMAX movie. Hubble IMAX 3D, which is also a Warner Brothers film, so maybe that’s why they were able to do that, but they seem to have really nailed. They replicated it exactly. It wasn’t just coincidence. They had our tools. It’s a one-of-a-kind tool they use – a wire cutter – I saw in the movie, and I haven’t seen it since I flew in space and here it was right in front of me on the big screen when I was watching Gravity. They had our power tools, our tethers, the spacesuits. The payload bay… the way all the different things are carried… we had a lot of equipment in the payload bay. It’s exact. It’s what we had. We even have our IMAX camera modeled from the payload bay. So, there was things that only me and a handful of people alive would look for. Mike Massinimo: But they’d tell that it was all there. So, like they had it all there. So, from that standpoint, it was really accurate. They fused the footage that they used for views of the Earth were all exact. So, I thought that was pretty cool to see that. It felt like I was up there again, which is pretty cool. And I think it also shows how dangerous space can be. I mean this is a really bad day that they had, but we think about those things, mainly before we fly, to be ready for them in case we get into an emergency, where you’re hit by something. A meteorite or some piece of space garbage gets you. So, if you take a hit, a debris hit let’s say, how are you going to react to it? You know, and we used to run these scenarios when we practiced, and we practiced in a big water tank. We would be on the space walk and then, all of a sudden, the instructors would give us the problem that someone’s become incapacitated and needs to be brought to the airlock. And so, the one person who’s in good shape would have to figure out: “What do I do to the telescope to safe it, so we don’t lose it,” and balance that against the time that I have to get my partner and my spacewalking buddy inside safely. And so, those are things that we practice all the time. You know, what do we do now? Do we practice putting the person in the airlock and demonstrating we can do that in an orderly fashion, and work together with the ground, and do all that – you know, the control center when I say “ground” – and the other astronauts inside the space shuttle and so on to do that successfully? And then we’d go back to our regular training. So, then they would throw these problems at us, and so you see some of that in the movie. They have a really bad day, but then the astronauts are trying to solve that problem. “So, what do I do now? How do I try to stay alive?” And that’s what we practice all the time. And then, when the big day comes and you’re actually out there, doing your spacewalk, hopefully everything goes well and you don’t have to worry about that stuff. When you think you’re ready, you’re at least prepared as much as you can be in case that happens. So, the movie shows that space can be a dangerous business. Renn Brown: Absolutely. Well, the film kind of presents, you know, this binary of these two characters… Sandra Bullock’s character has been kind of hastily trained and George Clooney, who’s a Veteran. 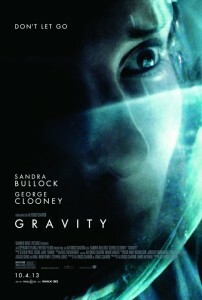 I would assume you identify with Mr. Clooney at this point, but can you think back to your first days in space? Did you ever feel that kind of nervousness that is evident in Dr. Stone? Mike Massinimo: Yeah, I think the nervousness that you have as a first-time space flier is – I had it. You know, it’s common. I don’t know the degree that she had it. It seemed like she was also kind of doing- she looked like she might have been hastily trained. To work on the Hubble Space Telescope, which is what I did on my rookie flight, even though I was a nervous first-time space flier, they gave me lots of training. You know, they tried to counteract the lack of experience with a lot of good training. So, I think, but I can identify with the way she felt. You know, not knowing how you’re going to react. Are you going to be sick? You know, for example, on my first space flight, we had two spacewalking teams. So, one of the reasons why I was on the B team – I should say B, but the second team – was there was some concern about me going into spacewalk on the first day. You know, it was only our fourth day in orbit and then an extra day in orbit usually makes you feel better. Do you know what I’m saying? Mike Massinimo: So, that was a consideration before we went up; was: “We don’t know how Mike is going to react to space. We think he’s not feeling well. Let’s give him an extra day to get used to it. He won’t spacewalk the first time. He’ll go out on days two and four,” and that’s what we did. So, I mean it’s something that you think about. You try to prepare for how a rookie might react to space, but I think what she portrayed was, again, an extreme version of it, but maybe not. She was still able to get her job done and work on the telescope. She wasn’t feeling that great, but you know, I look at it, she was trying to work through it, and I think that, on the first space flight, the veterans usually are helping you like, you know, mama bear or papa bear helping the cub, right? Renn Brown: I gotcha. 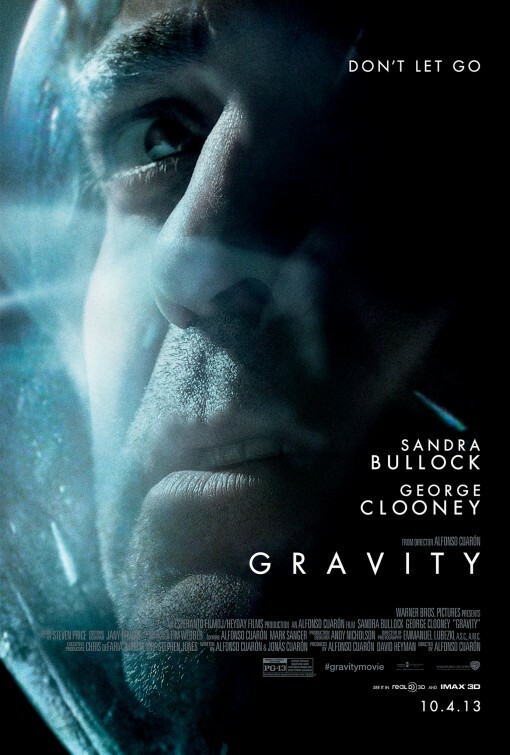 So the filmmakers use an enormous amount of technology from robotics and the CGI to the 3D and the sound design to create the sensation of weightlessness and the inertia of a micro-gravity environment. And from my Earth-based eyes, it’s the most effective thing of that kind I’ve ever seen. Renn Brown: Do you feel that it does present a pretty good facsimile of what you felt? Mike Massinimo: Yeah, I agree with you. It brought back memories. I think the only experience I’ve had close to that in a movie theater is when I watched Hubble 3D Movie. But that was real footage. That was actual IMAX footage of a real space launch and the actual footage from our spacewalks, and in the cabin, and all that – what they showed. That was real stuff. That was a documentary. So, this was not a documentary, but it showed it as if it was. It showed the accuracy. The lighting. I mean like for example, the lighting that you get in space when you’re in the sun is the brightest bright you can imagine. It’s almost like a pure white. Mike Massinimo: And the lighting is very unique. You don’t get that anywhere else. You can turn on a bazillion light bulbs; it’s isn’t going to work. In the sun, when we see it on earth, it’s filtered through the atmosphere, so it’s a bit duller than it is in space. But that bright lightness – it’s like seeing for the first time. When you’re in space, you can see this. Things look really clear. That’s what it was in the movie. So, I think that they used their whatever technology, computer graphics stuff they had – they used it very wisely and built the scenes that you see just as if you were experiencing space for real. So, yeah, I thought it was great. Renn Brown: Got you. Yeah, I’ve got just a couple more questions I’d like to ask whenever I get to speak with someone of your stature. Is there any kind of specific pop cultural influences that you can say contributed? Mike Massinimo: Renn, excuse me one second. Mike Massinimo: My wife is trying to get in the door. Let me let her in. Renn Brown: Haha, no problem. Mike Massinimo: Okay Renn, I’m ready for you. Go ahead. Renn Brown: Cool. Yeah, I was asking if there are any specific pop cultural influence that you can say contributed to taking the path leading you to being a NASA scientist ? Mike Massinimo: Yeah. Well, I don’t know if it’s “pop culture,” but I’m old enough to remember the Apollo landings. So, I remember Neil Armstrong walking on the moon, and I had my astronaut Snoopy with me when that happened. My brother, who’s a little older than me, bought me a little astronaut Snoopy, and I actually took Snoopy with me into space, forty years later, but Snoopy had a tough day. He had tough day like they did on Gravity. I guess, over the years, the enamel was cracking and he had a broken leg by the time I’d grown old enough to take him into space. So, that was on thing, but that was the actual moon landing. But the other thing was, as far as movies go, this movie The Right Stuff, which is celebrating its 30th anniversary; was really what rekindled my interest in the Space Program and being an astronaut. I was a Senior in college thirty years ago, when that movie came out, and it really rekindled my interest. The views out the window of John Glen’s space flight and the camaraderie between the astronauts that was portrayed and what they were doing, I thought, was really cool, and it got me interested in the Space Program again. And my little boy’s dream about being an astronaut was rekindled. So, I think like Gravity, The Right Stuff was based on factual events. It was about the original astronauts and test pilots, and stuff. Mike Massinimo: I think Gravity though, people asked me: “Is it going to scare kids from being astronauts?” I’m like: “Well, it’s a movie. You know, it’s not a true documentary. The stuff that happened isn’t going to happen. Hopefully not.” But I think, on the other hand, what I really think is it’s going to inspire kids to get interested in what’s going on in space. And George Clooney does a really good job of being a cool astronaut. I’ve never met him, but I want to start the rumor that he based his character on me. If you want to write that, that’s fine. Renn Brown: That’s no problem. I think that’s totally fair and quite likely. Mike Massinimo: Yeah, that’s him saying it, not me. But he’s a pretty cool guy and I think, instead of scaring kids about being astronauts, it’s going to kind of light up a few dreams for some of them out there, like the movies did for me when I was younger. So, I guess that’s my experience with pop culture, and I do think these things can have an effect on people, because it certainly did for me. Renn Brown: I was going to ask if you’ve felt contemporary sci-fi kind of bears any responsibility to inspire young minds, especially with the way that NASA and so much of space exploration struggles to maintain funding; if you hope this kind of stuff will plant seeds to give it a sustainable future. Mike Massinimo: I hope so. I don’t think it’s their responsibility. I don’t think we should put that burden on them. But I do think that these people who make these movies – the ones that I’ve met are the people are the Big Bang Theory; I think are a great example. I mean they really see what they’re doing as a way to represent the smart kids around the country that feel left out a lot of the time when it comes to whatever they’re doing in school or whatever. Whatever their interests are. It shows them in a community. It shows them having fun. And I think they have done a great service to those kids who are interested in doing that and might not think it’s cool. I don’t think it’s their responsibility, but I think that they take it on as a benefit of what they do, and I think it gives purpose to what they’re doing in their minds. I think the same is for this movie. I think if you look at the details that director, producer, or whoever comes up with this stuff on the group of people that make it on the team who’s making the movie. I don’t know who’s job it is, but whoever it is that was making this thing – they could’ve very easily not used the real (Unclear 14:04.2) they set up or real tools or the background, or suits that were exactly like the ones we used, but they did it. So, I think that they — I would imagine if you asked them that question, I bet they were trying to correctly show at least what it looks like in space and look and feel of it. So I think they take that upon themselves to do that. And as a result, I think that they do educate the public maybe more so than NASA can a lot of times because they have a huge audience. And if you were just watching one of the spacewalks that we did (Unclear 14:38.3) they can get, you’d probably go to sleep if you didn’t know what was going on. You know, in the movie they make it exciting and people pay attention.